This article is meant to assist you with enabling, configuring and accessing Security Groups. Security Groups allow user security permissions – for multiple users – to be to changed one time in a central location instead of making separate changes within each user ID. 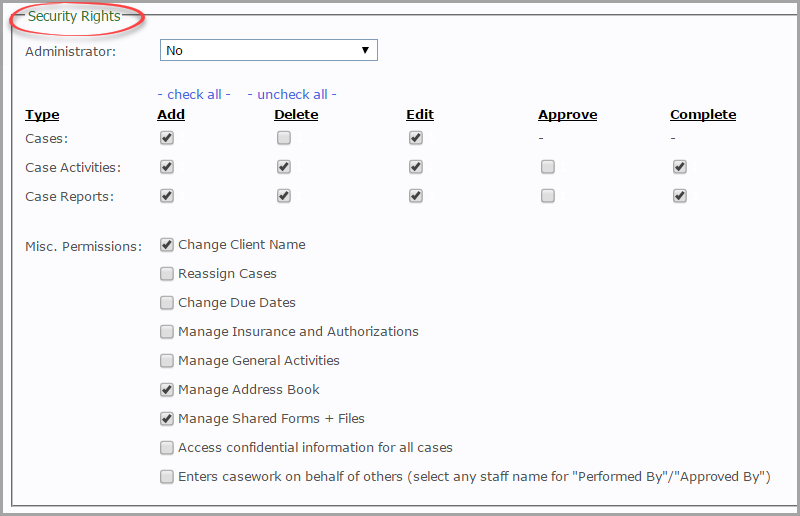 This ensures consistency across your agency and saves time when adding users or changing permissions. You must be an Agency Administrator to enable, configure, and access user security groups. Before enabling security groups, consider the types of users in your agency and what permissions you would want to grant them. You’ll want to think of a name of each group, for example: “Staff”, “Supervisors”, “Leadership”, etc. If a particular user needs a custom security configuration, you can choose to leave them out of a group. 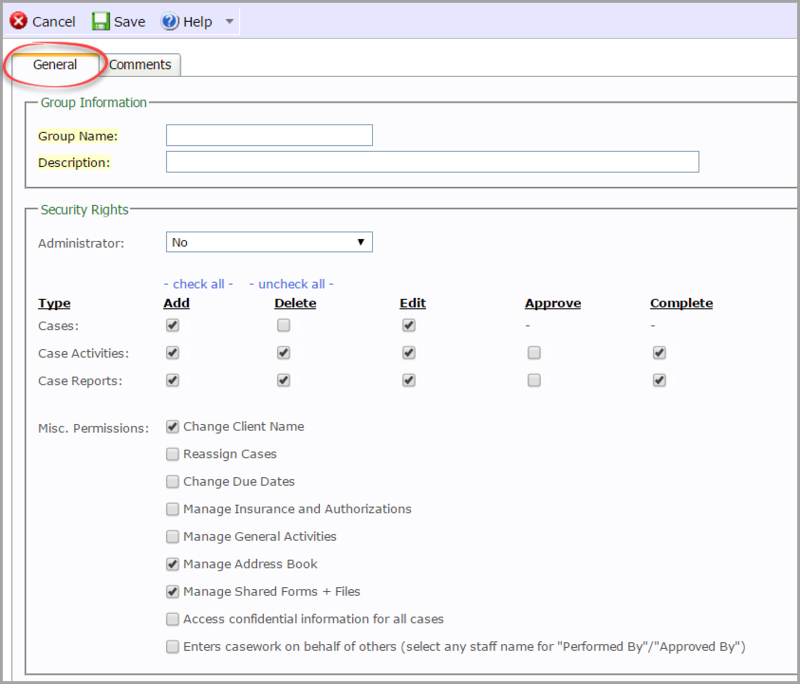 Enabling the security groups feature allows you to create security groups. 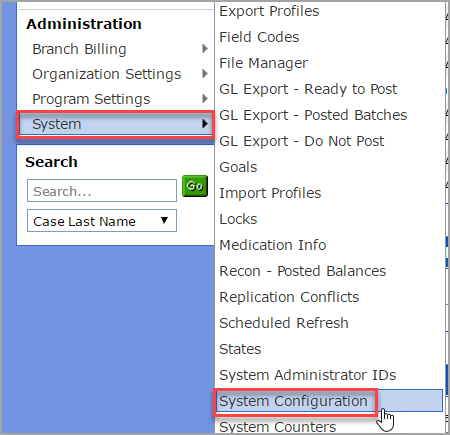 To do so, hover over System (under Administration) and click on “System Configuration”. Go to the General tab and click on the “Edit” button at the top of the screen. There should now be a new “User Groups” option in the menu on the left side of your Workspace under Administration. Hover over System and click on “User Groups”. Click on “Add User Group”. Complete the fields in the General tab. 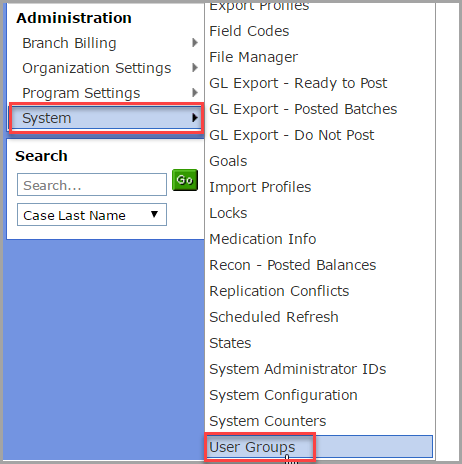 Group Name A name of the User Group – can be changed at any time. *For a full description of Security Rights, please click HERE. Our User Security Permissions article applies to security rights and permissions for both individuals and groups. From the menu on the left side of your Workspace under Administration, hover over System and click on “User Groups”. This is a quick view of all User Groups that have been created, including number of members, description and last modified. Click on a blue hyper-linked User Group to view details. Click on Edit to make changes. 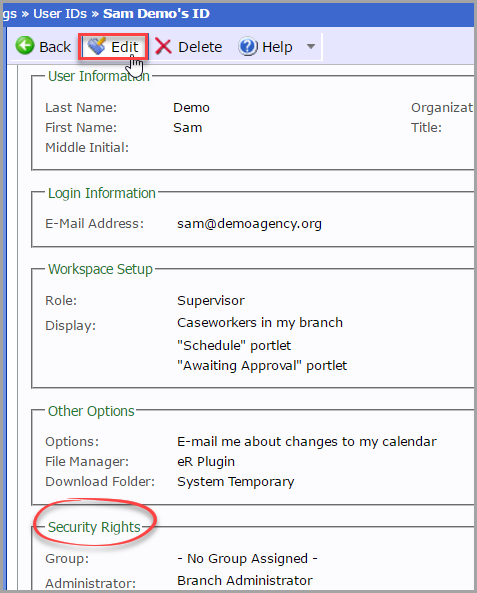 From a User ID, click on Edit, and scroll down to the Security Rights section. The security permissions for this user are currently locked down. You can select a different Security Group from the drop-down menu if you wish. When you select a Security Group, the permissions will be locked based on the group selected. 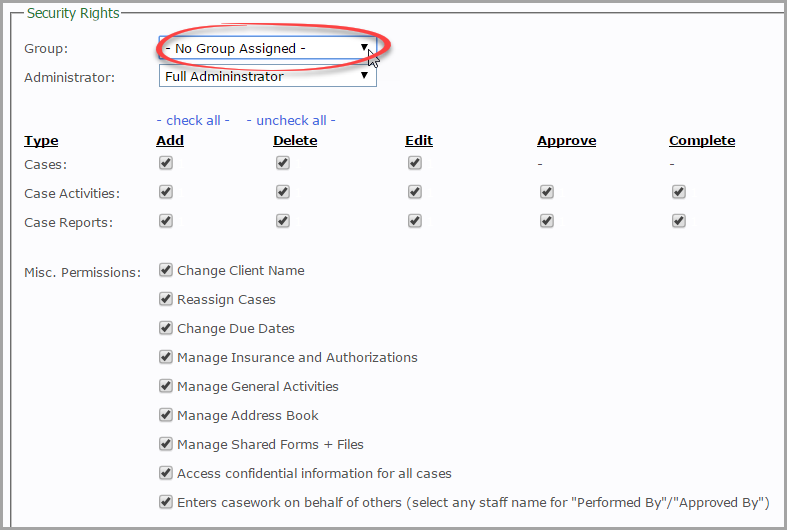 However, if you select “No Group Assigned”, the User ID Rights can be customized.